The thoughts of Keith Lam. First thing: Identify your version Macbook. The first upgrade is to put more RAM in your Macbook). You probably have at least 1GB, but 4GB is so cheap that there is no reason to upgrade. You can buy 2x2GB kit on Amazon for $38. You should know that first-gen (2006) models can only go up to 2GB, second-gen (late 2006-mid 2007) up to 3GB, and everything after June 2007 can use the full 4GB. Note: You can put in more RAM that your Macbook can address and faster speed, but you won’t get any performance gains. You should only do this if the bigger/faster is cheaper because there is more supply of the newer stuff. Warning: This process is complicated and not intended for people who are not comfortable taking apart a computer. 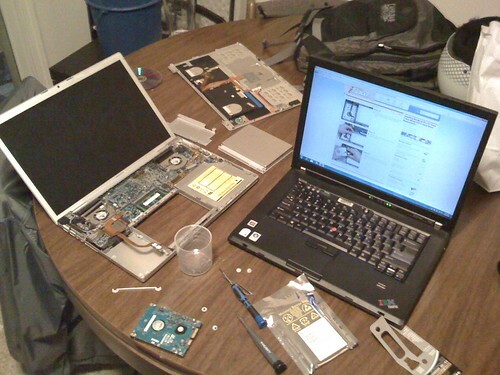 This part is important to find the right hard drive and to use the correct guide to disassemble your laptop to install the hard drive. There are two types of Macbook Pro (discrete and unibody). The discrete is all aluminum and bought before late 2009 October 14, 2008. The unibody was released early 2009 late 2008 and has a black bezel around the monitor. Make sure not to choose one with a built-in shock/drop sensor. It will interfere with the sensor built-in to the laptop. I went with the Hitachi 7k320 because it was the best value, but it isn’t the best performance. I would have gone with the WD Scorpio Black for best performance. These are all 320gb 7200rpm hard drives, which are the best performance/value ratio right now. 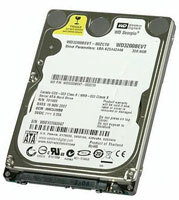 Research more about these hard drives with this comparison at Tom’s Hardware. thanks dude.. i gotta get a new HD so this helps. 80 gigs just isn’t cutting it.